Souping up your Jeep is as natural as getting dressed in the morning, and if we don't do right we're going to notice people pointing our way. Creating innovative product is tough work when you have to meet the high expectations of Jeepers because they crave self expression. Whether you get a lift or install Rockstars that fling mud so fast that Nolan Ryan would be jealous all depends on your mojo. Cars or clothes, we want our Jeep buddies to know what we’re about. Jeep isn’t just another vehicle, it’s an extension of our being. Customizing is the best part about owning a Jeep. Sure, others outfit their car by what? Adding a spoiler? Changing the rims? Hey, I'm not knocking these cosmetics because women do have to wear make-up, but sorry Giselle, Jeep owners have a reputation to live up to! 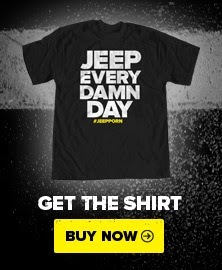 Here is some merchandise that morphs your Jeep from sheep to beast. 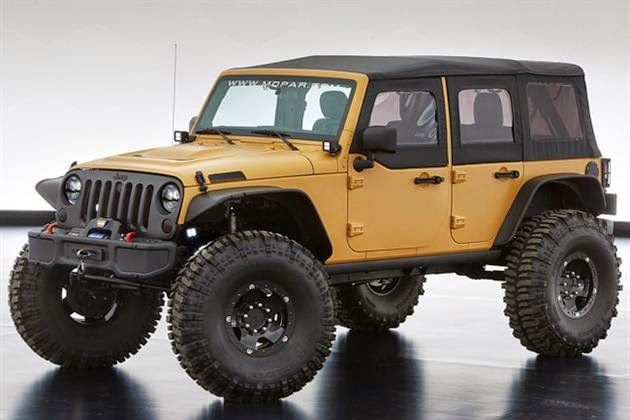 Rejoice Jeep owners, only we are lucky enough to make our Jeeps in our own image. Show your voice today!